NCL Cumbernauld’s flagship Sound Production department recently had the pleasure of welcoming three temporary new recruits for an intensive two-week training block within our recording and mixing facilities. Galway Technical Institute students Devon Harris, Aaron Murphy and Thady O’Donovan joined us on a student exchange program here at NCL, learning sound production approaches from staff and students within the college’s state of the art Pro Tools and Ableton Live equipped studios. Arriving with bags of enthusiasm and keen to take advantage of the college’s three large format mixing consoles, the students spent time with our Sound Production cohorts working alongside NC, HNC and HND students in our two flagship SSL AWS studios learning a range of skills from mic techniques to mixing workflow, editing tips and digital audio workstation techniques. Day one, wow, I can’t believe how wonderful it has already been since arriving in Glasgow, what with a beautiful apartment, a bright and sun filled sky and great company to explore the the city centre with. The amount of buskers and performers in the streets are a reminder of Galway but on a much grander scale and only in the best of ways. There is just about everything near the apartment and anything else, well, I wouldn’t say no to a walk around to explore! Tomorrow, school begins, lightly with a show around the campus and an introduction to the lecturers, orienting us for the weeks of work to follow. All in all, an absolutely great start to an amazing opportunity! As for the rest, well, stay tuned!! Things are getting more intense at the campus now, so exciting! 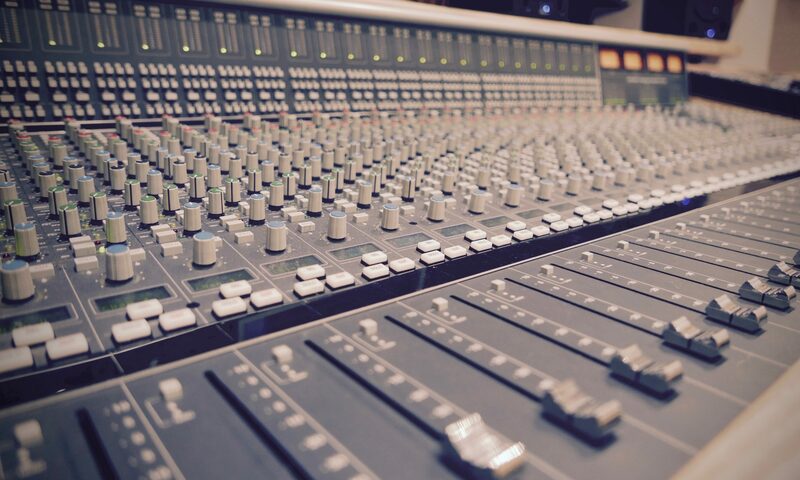 We have been working with some great teachers on how to operate different audio desks and set up, re amp and record electric guitar and through it gave a lot of insight as to how a studio really functions as a business. Even one of the technicians took time out of his day to help us set up and record when we were given free reign of one of the many studios they have. All we had to do was ask about something we are interested in and explain why it would be good for us to learn and they would shrug and say “why not?” Amazing people and a marvelous day… Oh, did I mention it was only the third day out of three weeks? Yeah, good times had by all. Whew. Week one, all done, and it was fantastic. Every day at the college was wondrous and dynamically different than the other with stunning studios, great teachers giving great lessons and tipping around all over the city, including Edinburgh! Actually, Edinburgh, wow. What a beautiful city! Side streets filled with eclectic shops and cafes, parks with beautiful gilding and the castle, marvelous. How could you not enjoy the view from the castle entrance with the whole city splayed out before you? Through the week there had been many a meal made in my lovely apartment, and plenty of people to eat it with too! I could only hope that the following weeks and days will be just as enjoyable and inspiring. Week two! Unbelievable. It has gone by so fast! We have been recording a music track, utilizing the fabulous equipment like the stacks of amps and stellar mics in the even nicer studios to record with and in. Today however, we had the privilage of working on live set ups for a miniature jam session we had in the largest of the live rooms, connecting a great deal of cables, setting up drums and amps mics. Sound checking all of the gear, and having some of the students that play instruments to get on the “stage” and help us set the mixing desk and do some equalizing on some hardware! All in all, a fantastic week two. Stay tuned for week three! Wow, Week three just flew past me. How that happened, I could only chalk it up to time flies, really, but now that it is over I find that I didn’t really want it to end. What an amazing facility with superb instructors allowing us to fawn over the slick equipment and studios they have at the Cumbernauld Campus. Hopefully there could be another opportunity to come back and pick their brains and get inspired! Thanks to everyone at the campus for putting up with us and allowing for a marvellous experience, one that I would gladly and fervently recommend to anyone with an interest in music or sound production! Previous PostPrevious Question Session 2019, biggest to date!